Isn't she adorable? You can learn how to make this sweet ornament designed by Cerri at the Joli Paquet blog today. And she'll also share a fabulous tip for using Glimmer Mist sprays! 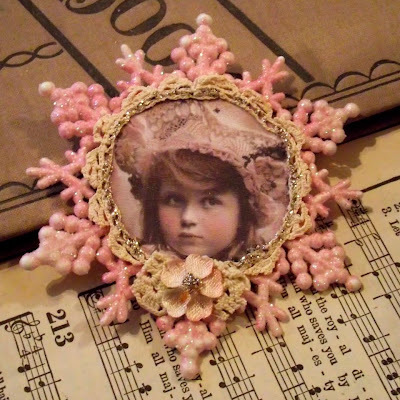 Cerri's studio is also featured in the new winter issue of Creating Vintage Charm magazine available here.